Perched on the southeast coast of the Arabian Peninsula, the Sultanate of Oman’s stark beauty and vastly contrasting landscapes have enchanted growing numbers of tourists each year. 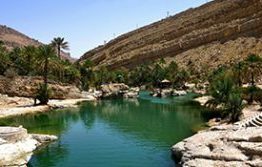 With its magnificent desert, secret oases and breathtaking mountain ranges, Oman is an alluring destination. A tropical underwater paradise lies beneath the turquoise sea, caressing the white sandy beaches that adorn the country’s stunning 3165 km coastline. Alongside this natural wealth is Oman’s rich culture, which blends with modern infrastructure and historical features that span over 7,000 years. 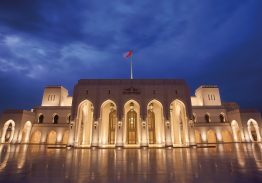 Oman has a well-deserved reputation for the warmth of its welcome and the authenticity of its culture. Muscat, the Sultanate’s capital city, is home to over one million inhabitants and is within seven hours’ flight time of 50% of the world’s population. The city is well connected to destinations in Europe, the Gulf, Africa and Asia by direct flights with the Sultanate’s national carrier, Oman Air. January in the Sultanate offers ideal weather conditions for combining sport, adventure and discovery. Stay, relax and experience Muscat’s unrivalled hospitality before or after the Al Mouj Muscat Marathon, enjoying first class accommodation and all that this beautiful country has to offer. Have a browse of our 2019 exclusive travel offers here. 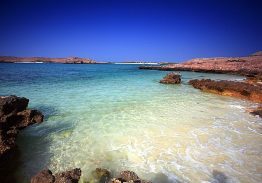 Oman Air Holidays offers special discounts of up to 30% on packages to the Sultanate of Oman! 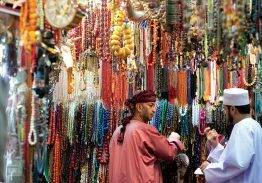 Oman’s most famous souq is located in the Port Sultan Qaboos. This maze of indoor stalls offers silverware, antiques, frankincense, garments and spices galore. Muscat’s glittering new performing arts centre features exquisite designs inspired by Middle Eastern tradition. Enjoy rich and diverse performances from Oman, the region and the world. With immaculate coral gardens patrolled by turtles, moray eels and iridescent reef fish, this is a gorgeous diving and snorkeling destination. Stroll along this stunningly picturesque mountain gorge where you can swim in cool, emerald green pools beneath sheer sandstone cliffs. 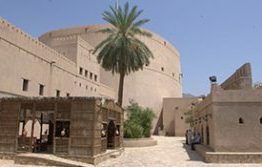 Picturesque region, famed for its rose gardens and one of the finest forts in Oman, with splendid traditional architecture and an ornate interior. 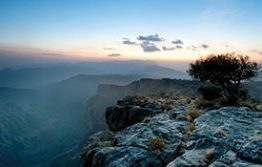 Experience a scenic mountain road that brings you to Al Jabal Akhdar (2000 metres above sea level), with a cool climate & tropical fruit orchard. 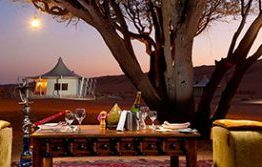 An unforgettable taste of rolling dunes, Bedouin culture and camping under the stars.